Nairobi is the dynamic capital city of Kenya. With over 3.1 million residents, it is the largest city in the country. Nairobi is the ultimate chance to get a closer look at some fascinating wildlife. 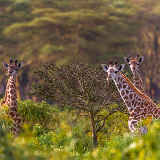 Touristic attractions of this vibrant city include the Nairobi National Park, David Sheldrick Wildlife Trust, the Giraffe Centre and Karura Forest. Cheap flights to Nairobi are now available for a limited period of time, so get ready to be fascinated by this beautiful city! Nairobi is home to Jomo Kenyatta International Airport (NBO), which is located on a 30-minute drive from the city centre. 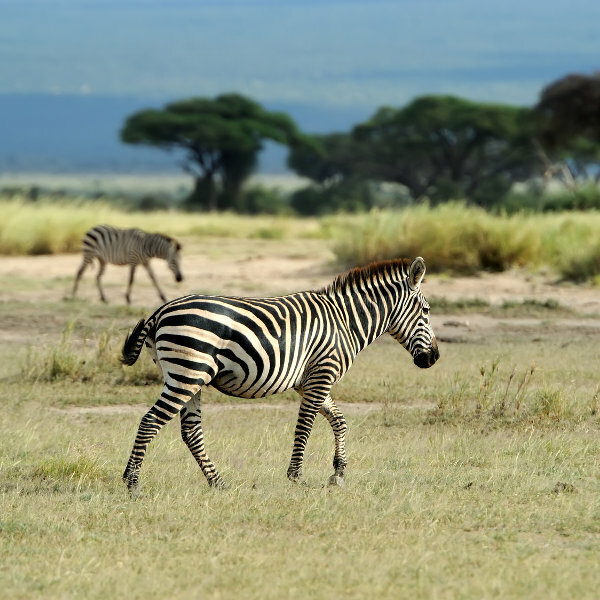 Nairobi is home to numerous wildlife and safari parks, making this city a paradise for nature and animal lovers. Meet the iconic residents of Kenya’s animal kingdom. 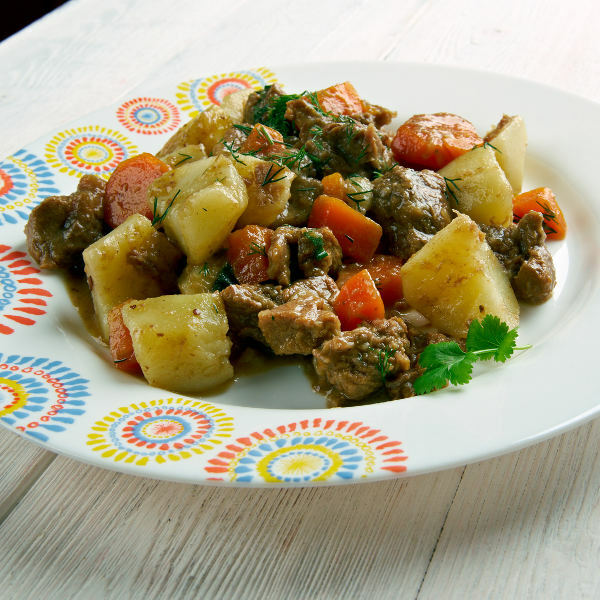 Satisfy yourself with a variety of wonderful and unique Nairobi dishes, including charcoal roasted ostrich, camel and crocodile at popular venues such as the Carnivore and Fogo Gaucho. 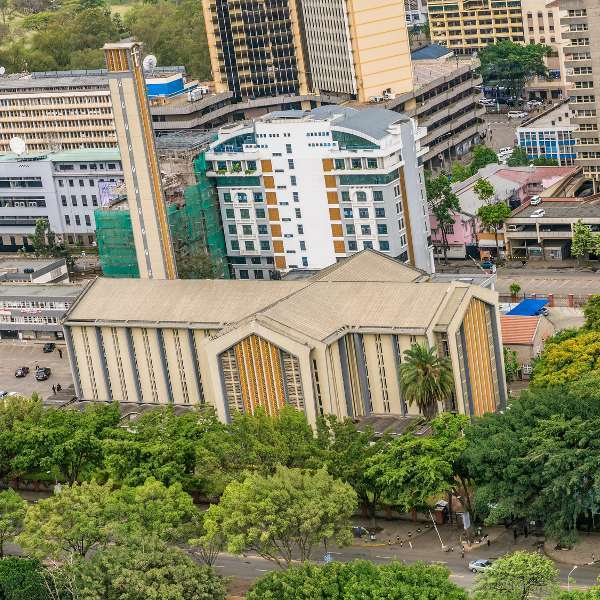 Take the opportunity to find out about this city’s rich past, with the collection of museums, landmarks and sights, including the Karen Blixen Museum and the Bomas of Kenya. Choosing a good time to visit is largely dependent on the reason for which you’re visiting Nairobi. For the best times to spot wildlife, visit between June and October and between January and mid-March, which are the dry seasons in Kenya. You will get pleasant weather this time with less rainfall. However, this is the peak tourist season in Nairobi and you will have to deal with overcrowded attractions. The low season is from mid-March to May and during November. Most of the lodges and camps are emptier around this time, although some may be closed due to the high volume of rainfall (these months fall in the wet season). Make sure to pack a raincoat if you choose to visit Nairobi during this time. 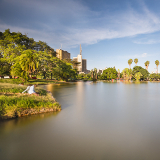 Nairobi is the vibrant capital of Kenya, with a buzzing business sector. There are many wildlife attractions as well as historic sites and museums. One of the top attractions of the city is the Nairobi National Park which is located within the city limits. This destination is one of many safari and wildlife parks. In addition, there is a lively shopping culture and an exciting nightlife. Make sure to immerse yourself in the culture of Nairobi at the Kenyatta Market, or discover the local crafts at the Kazuri Bead factory and the Pottery Centre. 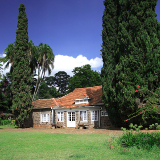 When you have some time to discover the history of Nairobi, do so at attractions such as the Nairobi National Museum and the Karen Blixen Museum. Now that you have a good idea of this city, get ready to have a memorable experience in the beautiful Nairobi. Compare and book your cheap flights to Nairobi with Kenya Airways online at Travelstart. Visit your doctor to receive all the routine vaccinations at least four to six weeks before departing for Kenya. Additionally, you will need to take precautions against diseases such as hepatitis A, hepatitis B, typhoid, cholera, rabies, meningitis, malaria and Zika. Unfortunately, Nairobi has a high crime rate, however, if you keep your valuables secure and out of sight, and refrain from walking alone outdoors at night, you will be fine. Just carry the money you need and don't display large amounts of cash as this will make you a target. Beware of con artists, scams and groups of people following you. A large number of hotels, villas, resorts and hostels are available throughout Nairobi, with a large concentration between the areas of Kileleshwa and Eastleigh. Many of them include a range of features such as restaurants, bars, pools, spas and free Wi-Fi. The price you can expect to pay ranges from 1500ksh to 32000ksh. The most reputable establishments include Mdawida Homestay, Amber Hotel, Qaribu Inn, and Villa Rosa Kempinski. The traffic in Nairobi can usually get quite heavy, especially during rush hours (07:00 – 09:00 and 16:30 – 18:30). If you have an appointment, make sure to plan your trip in advance, and if you can, get help from a local or guide. The cheapest way to get around is by bus (matatu), but your best option among all the available services are the Double M Commuter Buses, the City Hoppa bus service and the Kenya Bus Service. The fare ranges between 10ksh and 40ksh. Other ways to get around include the taxis and renting a car, although both options will be more expensive. Travelling around the city on foot is also a good idea, however, it would be wise to remain vigilant and aware of your surroundings.